Italy is synonymous with style and Rome is certainly no exception. For the most popular luxury shopping streets, head to the famous Via Condotti, Via del Babuino and Via Borgognona at the base of the Spanish Steps, just a five-minute walk from Hotel Eden. Well-known Roman brands to look out for include prestigious fashion houses such as Fendi and Bulgari. 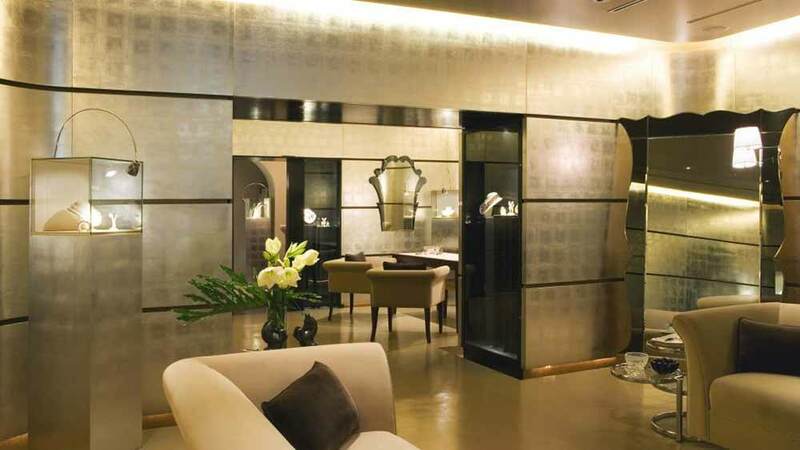 Besides the big names, there are a myriad of bespoke boutiques that can only be found here in Rome. Our concierge team knows where to find the finest artisanal ateliers and are happy to help with anything specific you’re looking for. Here are some of their recommendations to give you a taste of what the city has to offer. Treat yourself to a new fragrance at Campomarzio70. There are three of these stores dotted around the city but the state-of-the art one in Via Vittoria is the place to be. It’s not only Rome’s first perfume gallery but the only one in Italy. 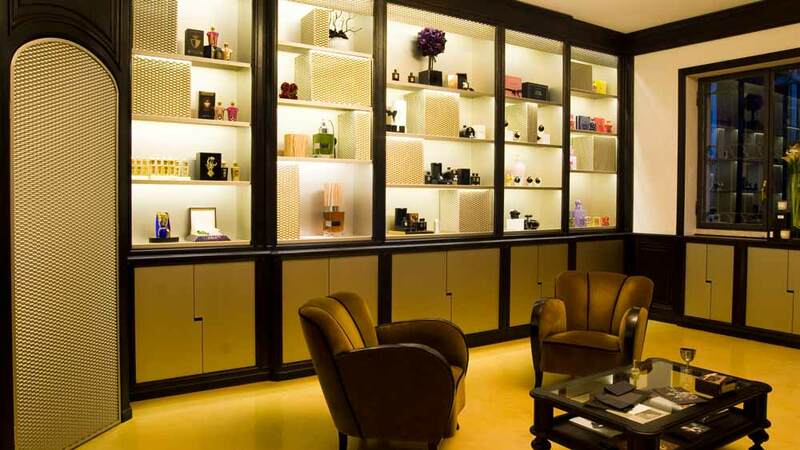 This elegant atelier is both a shop and a meeting place where fragrance can be discovered as emotion, memory and art. Look out for their fascinating workshops and experience events. 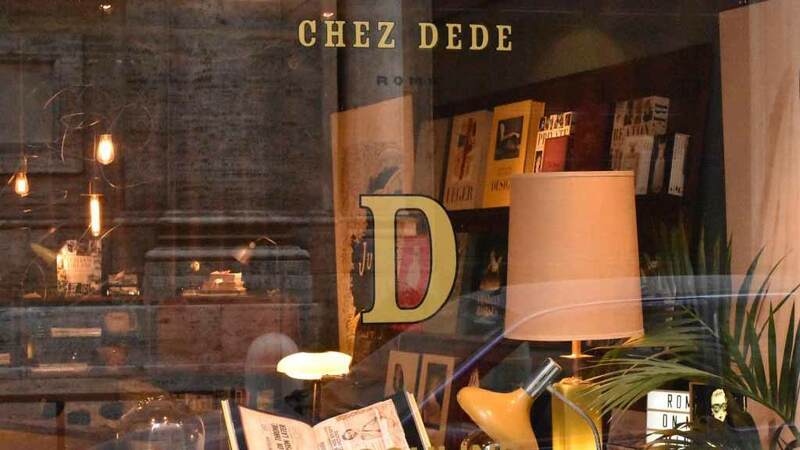 Head towards the River Tiber in search of Chez Dédé, tucked away in the charming neighbourhood of Regola. This independent brand has French and Italian roots with strong international appeal. You’ll discover an array of beautifully crafted bags, luxury leather accessories, vintage furniture, rare decorative objects, art books, and cult-publications by Assouline, all carefully selected by husband and wife team Andrea Ferolla and Daria Reina. For all your bespoke tailoring needs book an appointment at Sartoria Giuliva, in the city’s artistic area of Via Panisperna. Founded by the exceptionally talented Gerardo Cavaliere, suits here are entirely handmade by skilled tailors in keeping with the famed Neapolitan tradition of its founder but with an added sense of light-heartedness and creativity that Gerardo likes to call ‘Giulivismo style’. Situated on Via di Monserrato, you’ll find jewellery designer Fabio Salini’s boutique and artist’s studio where he brings his inspiration and ideas to life. Known for mixing traditional craftsmanship with unusual materials, you’re certain to find a host of eye-catching and dazzling designs. For more inspiration, please talk to our concierge team who can help you plan your stay at Hotel Eden and recommend further shopping opportunities in the Eternal City. There’s nothing quite like summer in Los Angeles, when sunny days stretch into warm, moonlit nights. To help you make the most of every sun-drenched moment, here’s an enticing way to spend your day. It’s a little taste of living your life LA-style. Let us take a moment to share with you some of the many ways to celebrate summer at The Beverly Hills Hotel, affectionately referred to as the ‘Pink Palace’. It’s your chance to live like a star and we want to help you relish every minute. Inspired by our passion for art at Le Meurice, we’ve created our own customised Art and Culture Map of Paris, which makes it easy for you to find the best galleries, art museums and hidden spots in the city. We asked regular guests and notable artists to share their favourite locations. Alfa Romeo is synonymous with the city of Milan and Italian style. Ever since it was founded in 1910 on the outskirts of the city, the name has conjured up visions of sleek design, equally admired by both motorsport enthusiasts and super-car lovers.